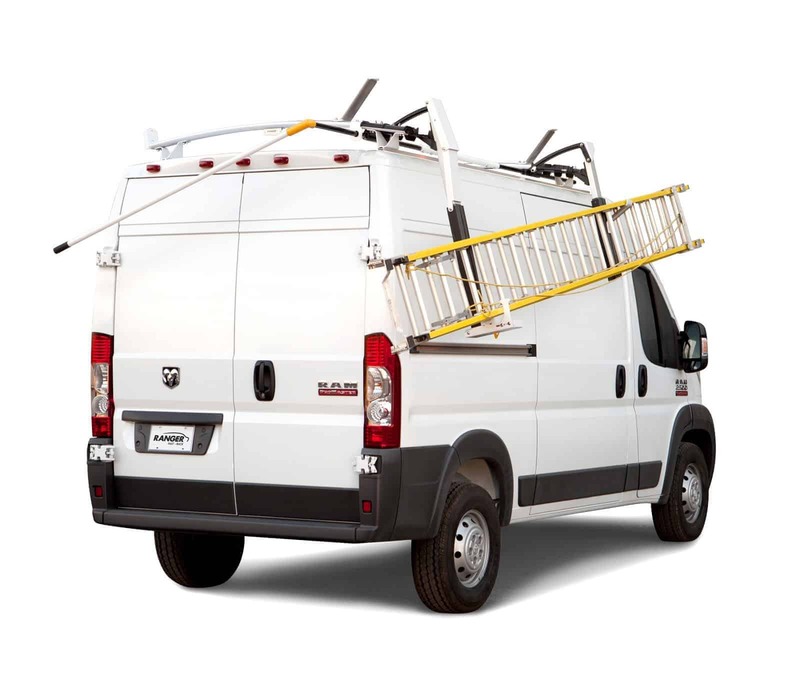 Two of the most important investments that any tradesman will make for their business are choosing a vehicle and a high quality van ladder rack. They want to make sure that their choice of equipment performs well, are durable and will save them time and money down the road. 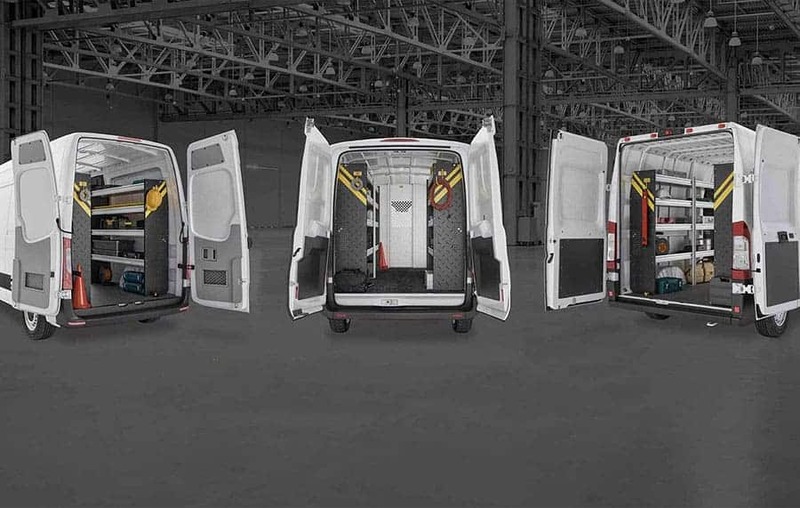 Increasingly today more tradesmen are turning to high roof cargo vans as the smart choice for their business. With increased standing headroom and more cargo space, a high roofed van make sense for many reasons. The challenge for many tradesmen then becomes how to load and secure a heavy ladder onto the roof without damaging the ladder, the van or getting injured in the process. Risk of Injury Reduced: By lowering to a level that is easier for someone to load and secure a ladder, the risk of injury to the back, shoulders or neck is greatly reduced. Reduced Damage: Ladders are expensive and this style van ladder rack helps protect your investment by ensuring that ladders can be loaded and unloaded without damage to the ladder or the vehicle. 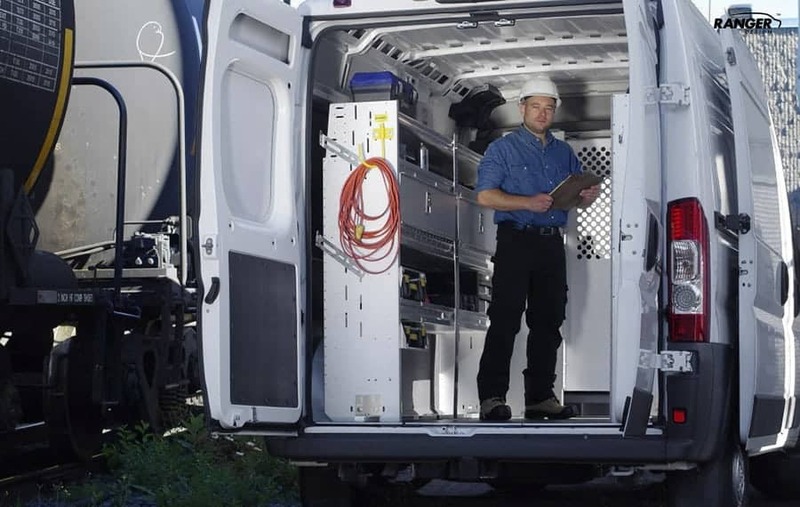 Increased Cargo Capacity: By having the ladder stowed on top of the van, valuable interior space is gained leaving more room for cargo and equipment. Greater Productivity: Loading and unloading a ladder becomes quicker. When tradesmen don’t have to fumble with getting the ladder on and off their vehicle numerous times a day, they can spend more time on the job, increasing billable hours. Faster: Because it lowers the ladder 50 inches in one simple motion. 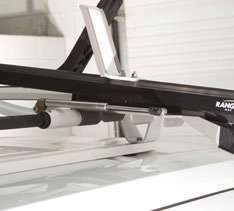 It will drop down exceptionally low, eliminating the need to reach above your head for the ladder. Safer: It’s not necessary to stand below the Max Rack as it lowers. With the worker out of harm’s way when the ladder is loaded or unloaded, the drop down operation is made much safer. This greatly reduces the risk of back, shoulder or neck strain and can limit muscle injury. Also the padlock is accessible from the ground making is safer to secure your ladder. 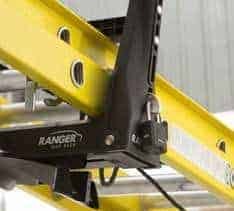 Tougher: All Ranger Design products are contractor proven tough and our Max Rack is no exception. Made of rust-proof aluminum with stainless steel hardware and a durable powder coated finish, the Max Rack was put through 4300 cycles of rigorous real world testing, so you can trust that it’s tough. Quieter: Minimal wind noise from an aerodynamic design. 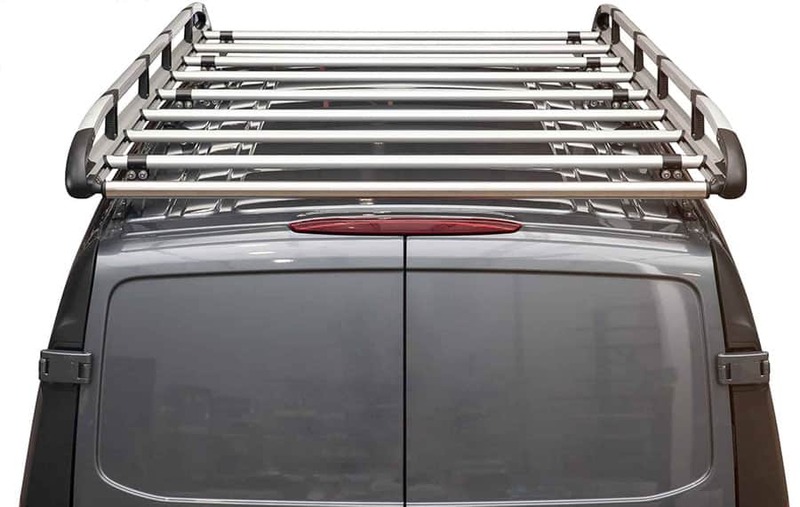 If you own a Ford Transit, Mercedes-Benz Sprinter, Ram Promaster, or Nissan NV high roof cargo van, and have been looking for an aluminum van ladder rack, then check out the Max Rack and see how it can work for you. For more information about van ladder racks and the drop down ladder rack, please give us a call at (800) 565-5321, contact us or request a quote.